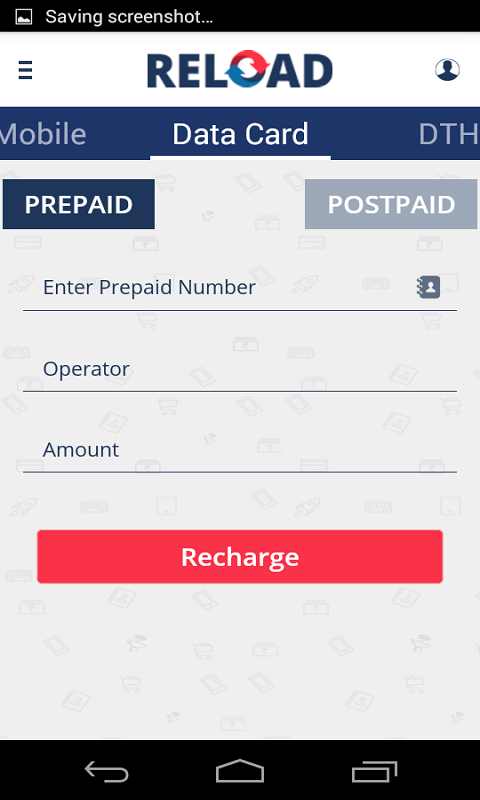 Reload is an utility app for all mobile recharges, postpaid bill payments, DTH recharges and Data card recharges. 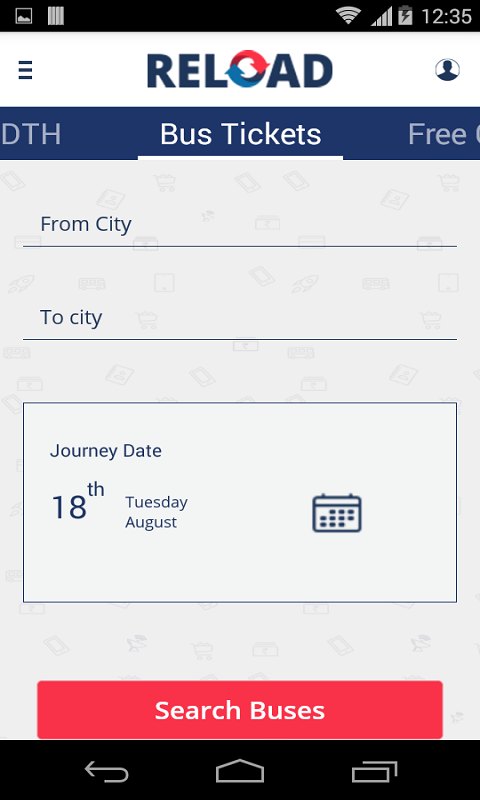 Reload app is light weight, user friendly and quick. 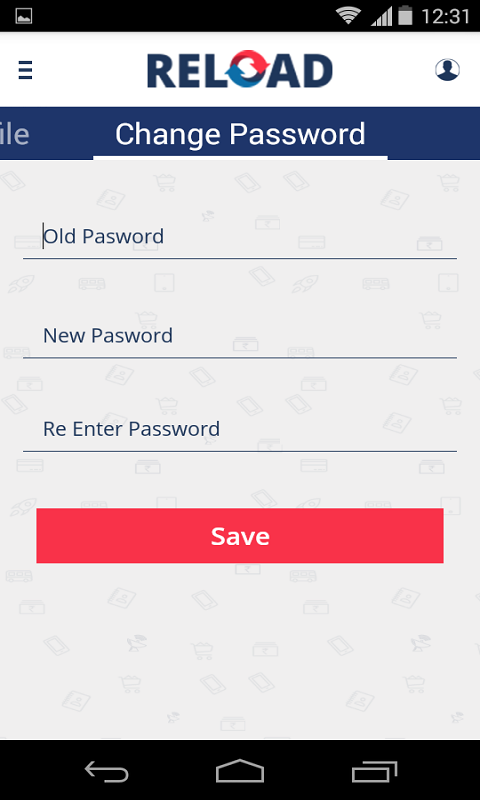 Reload is safe and secure for all online payments made through it. Services: - Mobile Prepaid recharge. 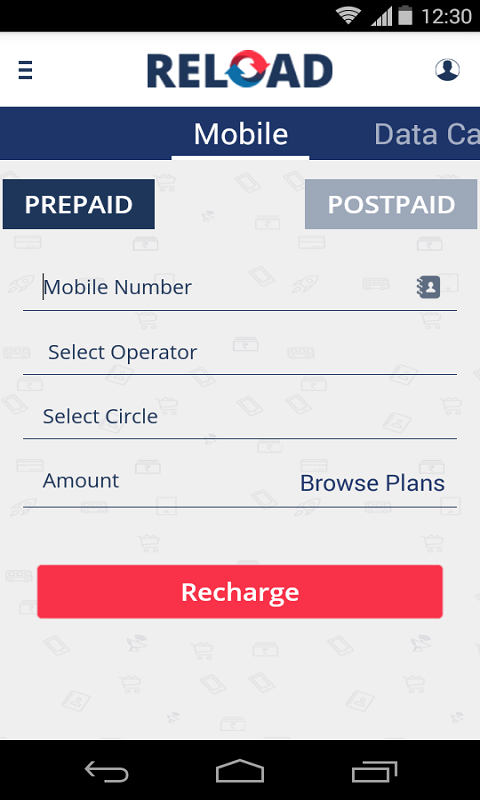 - Mobile Postpaid recharge. 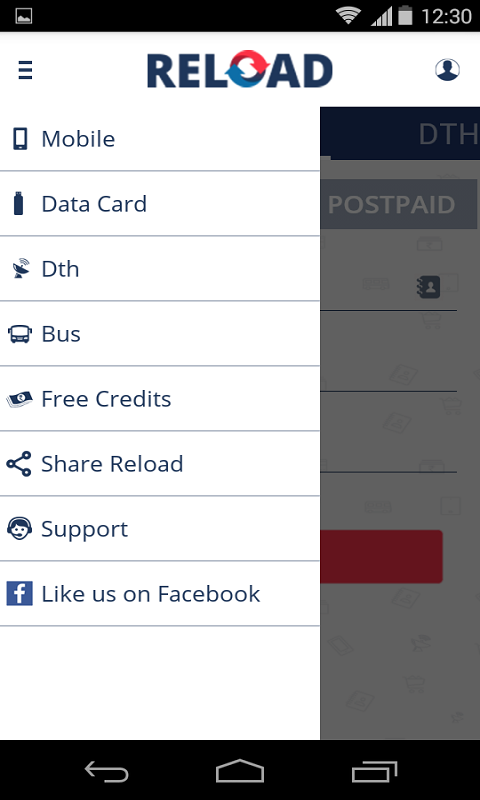 - DTH and Data card Recharge. - Online Bill Payments. - Online Shopping. Features: - No Extra charge for recharge. - All Mobile, DTH and Datacard Operators Supported - Reload Cash Account for your convinience. - Fastest and Secure recharge. 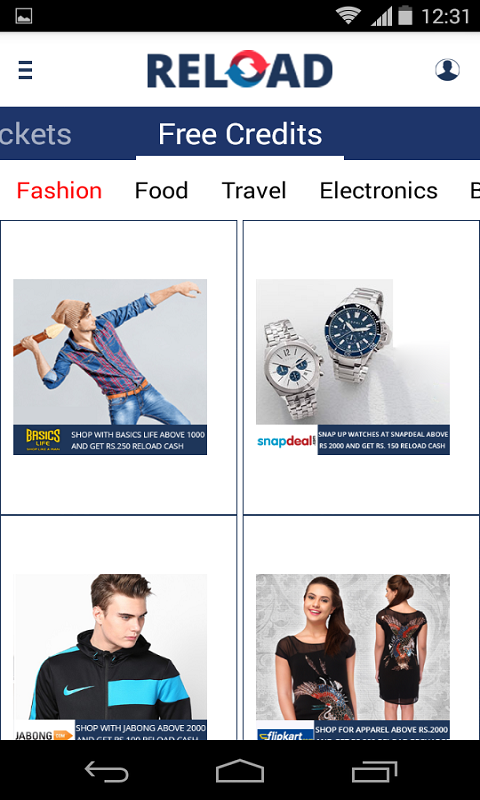 - Latest Tariff Plans and offers with Full Talktime, SMS Packs, Internet Packs, 2G Packs, 3G Packs etc. Balance exhaustion can be very inconvenient at times, Enjoy uninterrupted call with your loved ones..Download the Reload app now.